A 2016 essay from Janet Mills shows just why the park is so special. The best purchase my wife Linda and I ever made was our camp on the edge of Baxter State Park. Set on Sourdnahunk Lake, Camp Phoenix was a sporting camp for 100 years, until a fellow purchased it and turned it into a condominium. We each own our cabin, and we own the land in common. You can walk behind our camp and you are in Baxter Park. We drive the park’s perimeter road for 20 miles to reach the driveway to our camps. Our kids grew up there, spending lots of time each summer, and now our grandchildren are enjoying time there. Baxter is a paradise, and we’ve climbed all the mountains, favoring those in the northern half of the park, which is less crowded. I spent lots of time fishing remote brooks in the park, as well as the rivers, streams, and ponds all around us. And Sourdnahunk Lake is one of Maine’s finest native brook trout waters. Sadly, the moose and deer that were always hanging out in our yard are long gone, but our 3-year-old granddaughter did see her first moose there last summer. She was thrilled, as were we. As Maine’s attorney general, Janet Mills has been a member of the Baxter State Park Authority, along with Doug Denico, the state forest service director, and Chandler Woodcock, the fish and wildlife commissioner. In 2016, Mills, who is now the Democratic nominee for governor, wrote for the park authority a very thoughtful piece about Baxter State Park, capturing the park that I love. There’s a new park director, Eben Sypitkowski, and I hope he has a copy of Mills’ column. As more and more people seek to visit the park, and some try to “improve” it, Sypitkowski must focus on Gov. Percival Baxter’s “forever wild” directive. 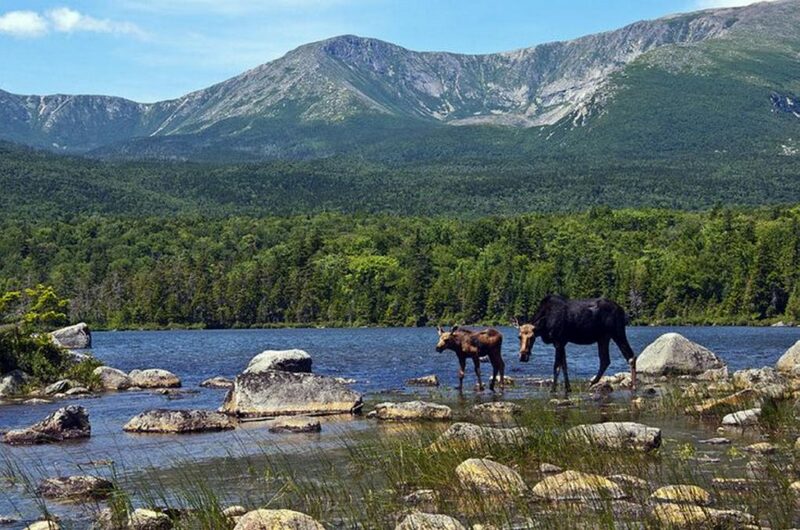 “I have been thinking about the early Native Americans in their reverence for Pamola and the mountain which they named ‘Ktaadn.’ I’ve been thinking too about Henry David Thoreau’s visits to Katahdin and Governor Baxter’s enormous love for this pristine area. What did they find here? Why did they love it? What did they command us to preserve about it? “I think it was here that they found peace. And it is peace they expected us to preserve — peace for ourselves, peace for the wildlife who make this their home. They expected people who come here to do so with that same reverence, with a longing for peace. “This is why we don’t have fishing derbies, or 5K races, or marathon runs along the Tote Road, or big bonfires with high-pitched songs, or fireworks on the Fourth of July. The park is its own quiet celebration. Its meaning lies in its quietude, in its broad spaces, in its deep peace. “That is a tough concept for the culture of today, when people of all ages are bombarded with bits and gigabits of information every second of our lives; when music, news and the clutter of conversation confuse our minds, making us feel as dizzy as fireflies on a dark starry night. Some days peace is almost impossible to find. “That is why we continue to say, the park represents a different culture, a different psyche than the national park phenomenon, different from other places of cultural refuge. It is a place with a different mission, different values. It is not for everyone. We do not invite groups and crowds, posses of civilization through the open gate and along the rough marked trails. Mills sure captured the Baxter State Park my family has treasured for more than 30 years. I hope all candidates for governor share her appreciation of and commitment to Gov. Baxter’s very special gift to Maine.